Crown Oil deliver red diesel throughout the UK. We are one of the leading red diesel suppliers in England. Our focus is on service, we always aim to deliver your fuel next day at a time convenient for you. 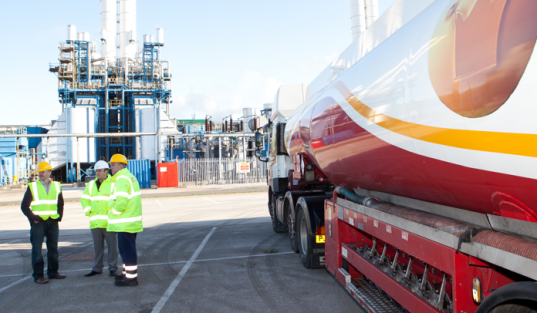 And with our 24/7 emergency delivery service, we can deliver you fuel within hours in case you run out. To prevent your tank from running dry, we offer a free fuel management service, where we monitor and maintain your fuel stock. This hassle free service allows you to focus on other important things, while we arrange deliveries to suit your fuel needs. Whether you need to order red diesel or are just looking around for prices, call us on 0845 313 0845 and we will do our best to fulfil your requirements. Some ask for cherry while others request digger fuel; but whether you refer to this as medium diesel or 35 seconds; red diesel is the fuel to use for all of your heating, commercial or agricultural needs. There are a wide selection of reasons folks use red diesel, its versatility makes it easy to choose. From home or commercial heating, to working hard outside, excavators and tractors; even up to tower cranes, diesel suppliers know your needs and are ready to accommodate you with your fuel needs. Red diesel in England is premium quality; its universal uses are too difficult to pass up. England has a wide variety of reasons to use red diesel; practically it is in just about every type of off-road commercial transportation. And as long as it is not on public roads, the use of red dye diesel is legal. Even carnivals can use red dye diesel in rides to power the generators and make the kids smile. Construction and industrial workers benefit greatly with the economical use of red diesel. While sitting at home, cozy in your room; thank the people who offer red diesel. Shipped right to your doorstep, it’s convenient and so economical. Farmers use red diesel in England as well; for tractors, harvesters and many different farm implements. Take a moment of your day and call your local diesel supplier; ask them for a delivery of red diesel. England’s source of fuel for home, farm agricultural and commercial needs, red diesel is the best source to suit everyone’s needs.